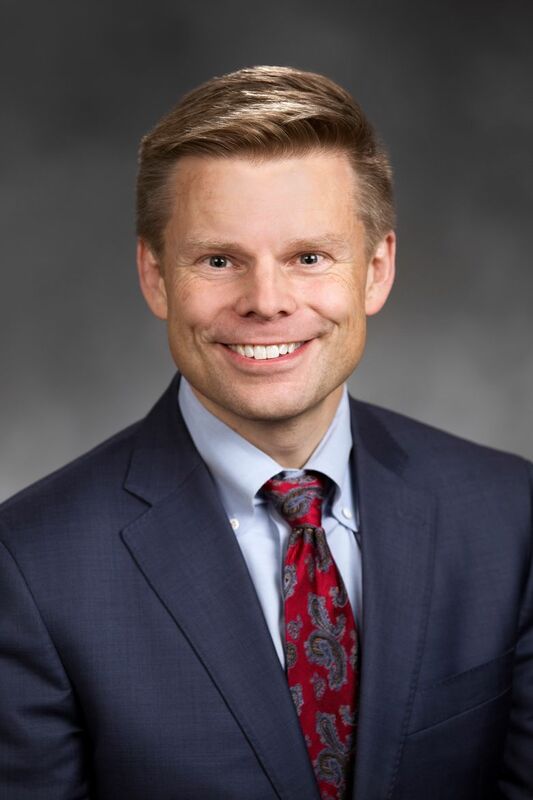 Seattle Democratic Sen. Jamie Pedersen is sponsoring a proposal to make more of the Legislature’s records public, while keeping some documents closed off. A proposal from Seattle's Sen. Jamie Pedersen differs in several ways from last year's ill-fated legislation, which drew immense public backlash and a veto from Gov. Jay Inslee. But open-government advocates say the new bill doesn't go far enough. OLYMPIA — Even as the bitterness from last year’s public-records showdown continues to linger, a state lawmaker from Seattle is sponsoring new legislation to open up some of the Legislature’s records. Unlike last year’s ill-fated public-records proposal — loathed by the public and vetoed by Gov. Jay Inslee — Sen. Jamie Pedersen’s new proposal would not exempt the Legislature from Washington’s 1972 voter-approved transparency law and would not keep all old records secret. Senate Bill 5784 also would not let lawmakers be the final arbiters of what documents are considered public. His proposal would allow for the courts to review and settle those questions. But his bill still includes broad exemptions to close off records related to the “deliberative process,” such as drafts of bills, emails between lawmakers or staff discussing legislation. It still keeps secret the identifies of constituents contacting lawmakers and would release only the content of those messages. And in what is likely to be hotly debated language, it would shield from disclosure investigative records such as notes and witness statements in sexual harassment and other workplace complaints against lawmakers, though final reports of those investigations would be public. The bill, which has the support of the Senate majority leader and other Democrats, is just the beginning of what could be another year of fiercely contested battles between lawmakers and open-government advocates over transparency, and it comes as the state Supreme Court is considering an appeal of a lower-court ruling last year that found that the Legislature had violated the state’s public-records act. “So that we can try to move this stodgy old institution into a different world where we’re used to a much higher level of transparency,” the Democrat said. Open-government advocates quickly criticized the proposal as not transparent enough and raised questions over how it treated harassment investigations and raised the possibility that its exemptions are crafted so broadly they might make secret even some documents that are now available. Unlike local and state governments, the Legislature has long claimed that it is exempt from Washington’s 1972 voter-approved transparency laws. That law requires governments to disclose documents such as correspondence, emails, calendars and investigations reports about alleged misconduct. Last January, a Thurston County judge ruled legislative leaders had violated the open-records act in a lawsuit filed by a group of media organizations, including The Associated Press and The Seattle Times, after lawmakers refused to disclose records such as emails, calendars and reports of sexual harassment. The Legislature, which has appealed, responded to that ruling by introducing and passing in 48 hours a bill to exempt themselves from that law. That legislation sealed off all their old records, while making some documents — such as lawmakers’ calendars and communications with lobbyists — open records going forward. The bill and its speedy passage — done with almost no public input or debate among lawmakers — drew a fierce backlash from citizens. About 19,000 people contacted Inslee urging him to veto the bill. Lawmakers backed down, and the governor vetoed it. Since then legislators, open-government advocates and representatives in the media pulled together a task force that met four times to discuss open records at the Legislature. It remains unclear whether lawmakers — who since last year’s public outcry have professed various combinations of defiance, apologies and regret over their attempt to write themselves out of state transparency laws — will be able to pass any public-records legislation. Pedersen’s bill has four Democratic co-sponsors, including Senate Democratic Majority Leader Andy Billig, of Spokane. House Democratic lawmakers may release their own proposal, according to two representatives, which could take a different shape. Senate Minority Leader Mark Schoesler, R-Ritzville, on Thursday declined to comment. Sen. Hans Zeiger, R-Puyallup, said he is reserving judgment on the bill’s details until he gets feedback from the public. But Zeiger said he appreciated Pedersen putting a proposal out there and looked forward to the public hearing. “The public has made it very clear that they want us to be more transparent, the legislative branch of government,” said Zeiger, ranking Republican on the Senate State Government, Tribal Relations & Elections Committee. Rep. Gerry Pollet, D-Seattle, who was among the few lawmakers who responded to the media’s request for records last year, said he is happy that Pedersen’s bill doesn’t exempt the Legislature from the public-records act and that it doesn’t give additional exemptions to other branches of government, as an earlier draft of Pedersen’s bill did. But Pollet said the proposal “doesn’t really reflect” the work done on this year’s Public Records Task Force. Pollet added that he hopes House lawmakers can put forward legislation that more closely resembles the task force’s discussions and recommendations. Central to Pedersen’s proposal is two principles for which lawmakers have strongly argued. They have asserted the need for broad exemptions on records related to “deliberative process.” That means things like drafts of legislation, emails between lawmakers about bills or vote counts would remain secret under Pedersen’s proposal. Emails between lawmakers and staffers that aren’t considered part of the deliberative process would be disclosed — something last year’s legislation didn’t include. The other principle legislators have called for is protection for constituents who contact them about sensitive subjects, such as government malfeasance or traumatizing experiences. But open-government advocates have argued that existing exemptions in Washington’s public-records laws already cover those needs — and that Pedersen’s proposed exemptions are far too broad. Michele Earl-Hubbard, the attorney for the media coalition, argued lawmakers should and could abide by the current transparency laws, just as local and state agencies now do. “It’s not what we expect our elected leaders to be doing, if they really learned from last year,” she said. Earl-Hubbard and Nixon also criticized an exemption in Pedersen’s bill that shields investigation records related to workplace harassment. Pedersen said his bill would make public investigation reports into allegations of workplace conduct once those reviews are finished and regardless of whether a lawmaker was found to have acted improperly. But the proposal would exempt the raw materials of the investigations, such as notes and witness statements. Pedersen said that exemption is necessary because concerns came up in the House and Senate’s internal discussions over dealing with harassment issues. Nixon and Earl-Hubbard both raised concerns about that exemption for investigative documents, which other agencies make public under transparency laws after an investigation has concluded.